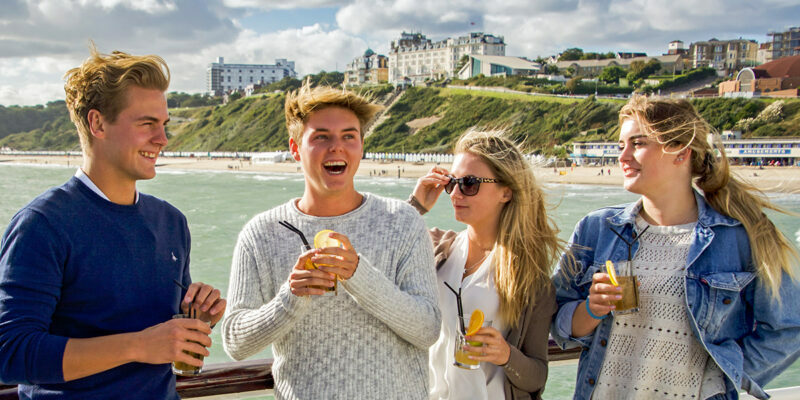 Bring your group to the iconic Bournemouth Pier and experience Dorset’s coastline at its best! We welcome coach trips, groups tours, schools visits and organisation away days to the pier! Enjoy good food in a great atmosphere in Key West Bar & Grill or have an adrenaline fuelled-adventure in RockReef. There’s something to do for everyone on the pier – plus we can offer some great group discounts! Key West is a unique and relaxed venue, serving great food with great views. Located on the end of Bournemouth Pier, panoramic windows and a large sun terrace offer stunning views of the Dorset coastline. Enjoy breakfast, lunch or dinner from a varied menu or have a speciality coffee and a slice of cake. 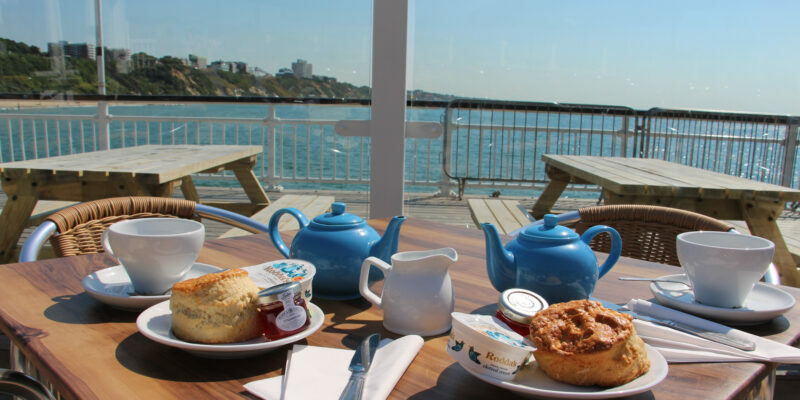 Key West also offer amazing cream teas and afternoon teas – the perfect treat! View the full menu on the Key West website. Get in touch to find out about group discounts on afternoon teas and other offers. RockReef is an adventure activity centre that’s fun for all ages! Indoors you’ll find 28 climbing challenges, an aerial obstacle course, a cave and tunnel system, plus some adrenaline activities to really get your heart rate going! The pier is also home to PierZip, the world’s first pier to shore zip wire! The dual line allows for two people to ride in parallel and race to the beach! 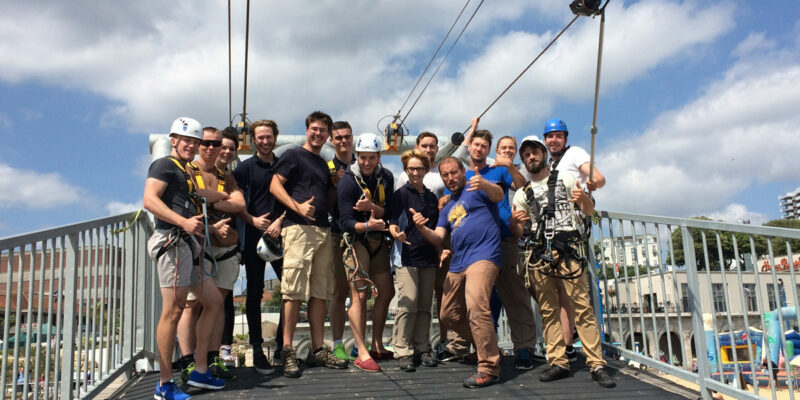 RockReef offers great group discounts to groups of 10 or more on Clip ‘n Climb and PierZip, as well as the popular adrenaline package – perfect for birthdays, and hen and stag parties! We welcome school groups and have a professionally tailored programme for KS1 and KS2 classes, aligned to the curriculum, called Curriculum Climbers. Team building sessions and corporate events are catered for with bespoke packages led by enthusiastic and knowledgeable staff. To book a group visit email marketing@thebournemouthpier.com or call 01202 925825 for a quote. Bournemouth has facilities for coach parking in various locations across the town. Click for more information. The drop off point for coaches for the pier is by Hot Rocks on Bath Road. Bournemouth has a broad variety of local hotels, hostels and B&Bs. Find accommodation. Find out more about other attractions and things to do in Bournemouth on the Official Bournemouth Tourism website. The council operate a pier toll in peak season which is from Friday 30th March 2019 until the end of October 2019. If you pre-book your group activity online, you will receive FREE entry to the pier. For all Bournemouth Pier enquiries please email marketing@thebournemouthpier.com or call 01202 925825 or use the contact form on this page.